Home >Teams Item > James Nguyen, Esq. 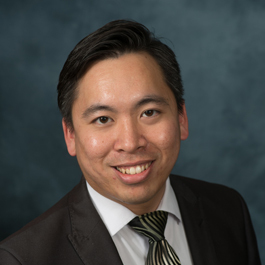 James Nguyen is an associate attorney in BarthCalderon LLP. He is a well-rounded attorney whose practice includes business law, asset protection, estate planning and real estate law. He gives practical advice as an entrepreneur, business owner, real estate broker, and personal investor to benefit his clients and to help them achieve strong and successful businesses. James has 10+ years’ experience in the real estate industry assisting people in the acquisition and disposition of various properties, including residential, commercial, land and business opportunities. He has founded and aided in the startup of various small business organizations. James also has litigation experience by clerking for the Orange County Public Defender Office, making court appearances and preparing and arguing motions. James’ goal is to help improve the quality of life for his clients, from figuring out how to start a new business, grow their existing business, help them plan personal or family’s financials, all the way to helping them leave a legacy, to their love ones or to the next generation.